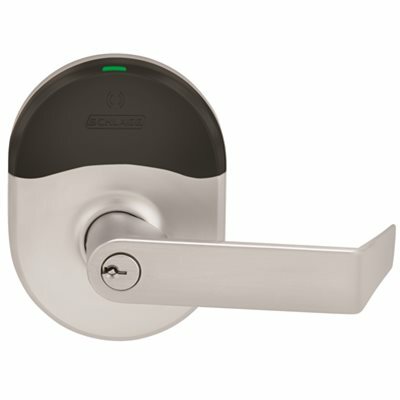 The Schlage NDE Series Satin Chrome Wireless Electronic Lock with Rhodes Lever simplifies installation by combining the lock, credential reader, door position sensor and Request to Exit (RX) into a single integrated design. Built-in Bluetooth enables NDE wireless locks to connect directly to smart phones and tablets no need for a proprietary handheld device for set-up and configuration. And Built-in Wi-Fi enables NDE to connect directly to an existing Wi-Fi network for automatic updates to access rights and configuration.